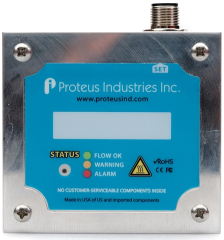 HOME PRODUCTS &AMP; SERVICES DIRECTORY OF SUPPLIERS PROTEUS INDUSTRIES INC.
We offer a wide range of network capable, rugged, precision liquid flow sensing and control instruments for the semiconductor equipment, automotive, medical and casting markets. 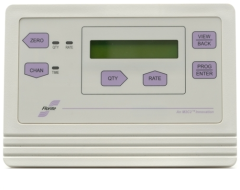 Our worldwide customers value Proteus' 40 years of experience and our proven ability to customize flow control products for their complex and specific applications to measure temperature and pressure, improving process control and predicting service shutdown for heat exchangers and other critical equipment. Proteus Industries warrants Proteus-manufactured flow products to be free from defects in materials and workmanship for a period of five (5) years from the date of shipment. 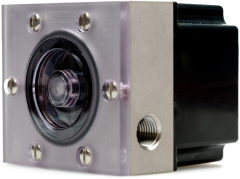 TUV USA Inc. hereby certifies that Proteus Industries Inc. has established and applies a quality system for The Design, Manufacture, Calibration and Marketing or Flow Measurement and Control Instruments. United States government regulations require that companies that register with the Securities and Exchange Commission (SEC) report whether their products incorporate any "conflict minerals". "Conflict minerals" are defined as tantalum, tin, tungsten, and gold. Protect automatic welding cap changer by keeping it dry! 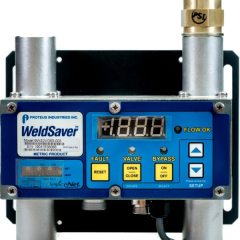 Proteus Industries introduces the WeldSaver7™ a breakthrough in managing water for your welding robots with automatic cap changing. View More Announcements from Proteus Industries Inc.